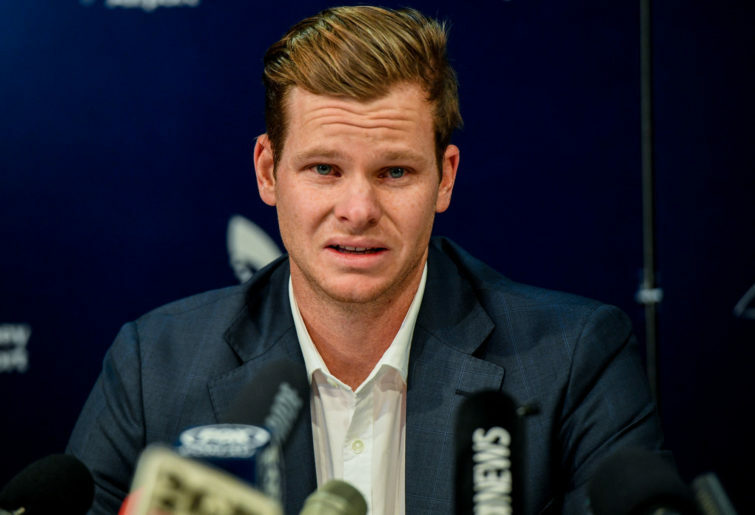 Was anyone remotely surprised by any of the ‘revelations’ that came out in Fox Sports’ interviews with Steve Smith and Cameron Bancroft? The pair spoke individually to Adam Gilchrist as part of the broadcaster’s Boxing Day Test coverage, giving their versions of the ball-tampering fiasco that unfolded in Cape Town. As for Bancroft, he confirmed that it was indeed Warner who had asked him to tamper with the ball, then he used the word “values” about 57 times, and that was about it. I guess it was a bit of a ‘huh’ moment when Smith revealed a 2016 incident in Hobart, which saw “James Sutherland and Pat Howard coming in the rooms there and actually saying ‘we don’t pay you to play, we pay you to win'”. But, apart from that, we really didn’t receive anything new from these interviews (and, really, learning that a couple of suits acted like knobs after their team copped a pantsing isn’t exactly a shock). Now, while I don’t doubt that Smith and Bancroft told the truth, I am highly dubious that their chats with Gilly revealed what actually went down in South Africa. Because all they did was regurgitate the story we’ve all been told for the past nine months. Warner was the instigator. Bancroft was the misguided rookie. Smith was the leader who didn’t have the courage to stand up for what was right. It’s basically the exact same songsheet everyone’s been singing from since that day in March. But what if it’s not what really happened? Sadly, it seems we’ll never know. I’ve been listening to a fair bit of Revisionist History, a podcast presented by Malcolm Gladwell. In the third season, Gladwell examined the concept of memory and how “Everyone assumes memory is a kind of time-stamped video of what happened in your life and that if you contradict the evidence of the video, you’re up to no good”. The episode in question is called ‘Free Brian Williams’. Central to his examination is how Williams, an American journalist, was eviscerated in 2013 for saying that he had been on a helicopter in Iraq that was shot down ten years prior. It turned out, Williams had not been on said helicopter – he had been on a chopper in convoy with the bird that went to ground. Predictably, America’s rampant, pundit-heavy media tore Williams a new one, calling him “reprehensible”, “disgusting” and “a lying coward”. But Gladwell argued that Williams was simply doing what all humans do – taking his memory of an event, then adding to it based on new information that has come to light in the intervening period. “Every time we retrieve a memory, in other words, there’s a chance it can get contaminated. We hear some new detail somewhere about the event and without realising it, we just add it in,” Gladwell said. Now, before you suggest that such a life-changing incident as what happened in Cape Town couldn’t be forgotten – it would be forever seared into the memories of those who were involved – turns out, “flashbulb memories” are just as susceptible to change. 1. How did you first learn about what happened on 9/11? 2. Where were you? What were you doing? 3. How did you feel when you first became aware of the attack? 4. Who was the first person you talked to about the attack? 5. What were you doing immediately before you became aware of it? The results? “60 per cent of the answers changed over time” – and these shifts occurred as soon as within a single year. Perhaps most surprisingly, when the participants were presented with irrefutable proof that their answers had changed, they went into complete denial. People are more willing to believe they lied than that their memory of the event has simply shifted over time, as more information has come to light. So, to bring it back to Smith and Bancroft, are we really willing to believe that the narrative we’ve been treated to in the media from the outset is actually what happened? 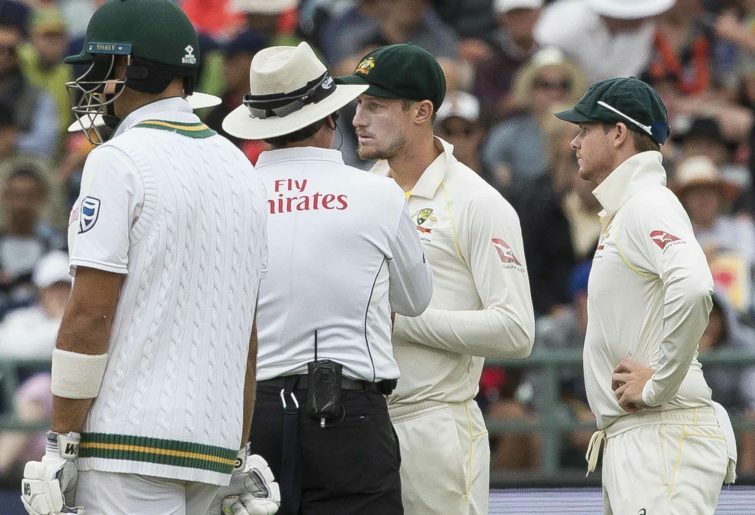 Long before any of them had broken down in front of a camera, Warner had been painted as the bad guy, Bancroft the victim and Smith the guilty bystander. We were told a convenient story and swallowed it. And, based on what we saw on Fox Sports this week, so too have two of people who were central to it. It’s why I doubt Gilly asking ‘tough’ follow-up questions would have added to our understanding, because the public have no original reference point by which to compare how dramatically Smith and Bancroft’s memories have altered. But the fact they’re toeing the line on the original narrative so well is an issue. It doesn’t suggest, as is the common logic, they are definitely telling the truth. It suggests their memories have been contaminated to ensure they, too, believe the convenient story with Warner as its villain. It’s their truth, I don’t doubt it. But I am highly dubious that it’s what actually happened on that fateful day in March.